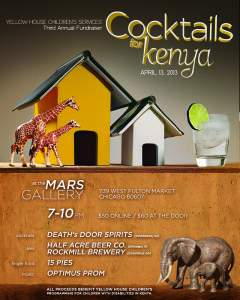 Cesario Builders attended the 3rd annual Cocktails for Kenya supporting Yellowhouse Children’s Serivces. Yellow House is a community based multi-disciplinary child development service organization that provides education, therapeutic services and outreach to children with disabilities, and their carers, with the fundamental belief that communication is a basic human right that should be accessible and achievable by all. We had such a great time helping raise money and awareness for such an amazing organization! If you would like to find out more about this organization or make a donation, go to yellowhousechildrens.org today!